It’s not Halloween, but this fella looks like a candy corn to me! 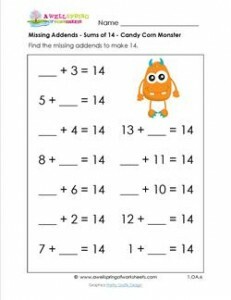 No matter what time of year … this still looks like a missing addends worksheet! 12 problems.